We are delighted to have Andrew Murray and his team with us at our whole church meeting this Sunday and at Cafe Church in the afternoon. Andrew's ministry is accompanied by transformed lives and God moving in miracles and healings. We are in faith that God is going to do some amazing things this weekend. Is there something you would like God to do in your life? Maybe you need a fresh start a chance to put the past behind you and become the person God intended you to be? We'd love to see you at the Winding Wheel, Chesterfield on Sunday morning at 10.30 am (10am for coffee) or at Cafe Church 6pm at the Compass on West Bars. A warm welcome is waiting for you. In 2015, God started prompting me to consider opening a coffee house with a dedicated play area in it for under 5’s. This became a much stronger calling throughout the next year and having prayed about it and sought advice and counsel from a number of people, and with support from George and the family, I started exploring how this could become a reality. There have been many ‘coincidences’ along the journey, that have just convinced us that God is totally behind and in control of this project. I had an initial idea of where the café could be situated, but God had other ideas! I always knew that the Grangewood area of Chesterfield had a bad reputation, and God has opened up the way for the coffee house to be situated right in the middle of the estate, in a new development to be built there. The Grangewood area is in the Rother Ward, in the bottom 8% of deprivation for the whole country, with no visible church presence on the estate. parents and carers can relax and have some quiet, relaxing time knowing that the children are enjoying themselves. This area can be screened off and small groups can meet there, with activities such as story time, music time, simple cooking, messy play etc. In addition, the partitioned area can be used to host small groups for the elderly, having social groups, memory café, music groups, to bring people together who are possibly isolated and fearful. 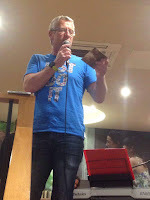 We will also use the premises for more obvious church based initiatives, such as café church, Alpha sessions – both adults and toddler Alpha groups; a base for people to come back to after running children’s events on the nearby park area. Although there will be a number of groups held there, the main aim is for Umbrellas to be a place where people can come to and feel accepted and welcomed – where there will be a friendly greeting and a shoulder to lean on, if they want it! We want the presence of Jesus to fill the place - where people can meet Jesus through the volunteers who are serving them coffee, doing the washing up, cooking the food or just there to meet people. Everyone has the opportunity to play their part. 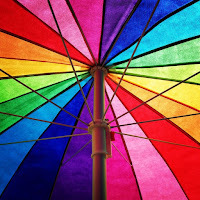 Umbrellas will be the building where the community know that they can go to for good food; advice; a hug; someone to pray with them; someone to listen to them; or somewhere where they can meet Jesus. It will be church – the family of God – in the middle of Grangewood Farm - a new expression of church, meeting the needs of the local community it is in the middle of. It will be a hub for supporting people with other concerns, such as financial, emotional or spiritual worries - a place of sanctuary, helping people holistically – physically, mentally and spiritually. 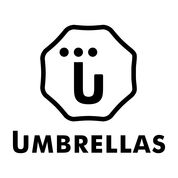 We are part of the charity Community Transformation, registered charity 1149268 and the website is www.umbrellascoffeehouse.co.uk. For any further information email jane@umbrellascoffeehouse.co.uk . On many occasions when people came to Jesus he asked them what might seem an obvious question. What do you want me to do for you? So I'm asking you the same question. What do you need Jesus to do for you? Some of us carry emotional hurts from the past. Others face a daily battle for their mental well-being. Some have problems with their physical body whilst others are dealing with an attack from sickness or disease. Some are just weary. 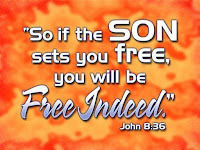 We carry pain and anxiety that God never intended for us to carry and he longs to set us free. No matter how hard it looks to us, the truth is nothing is impossible for our God. This Sunday Andrew Murray is coming to speak at our whole church meeting and he is bringing a car-full of his students with him. 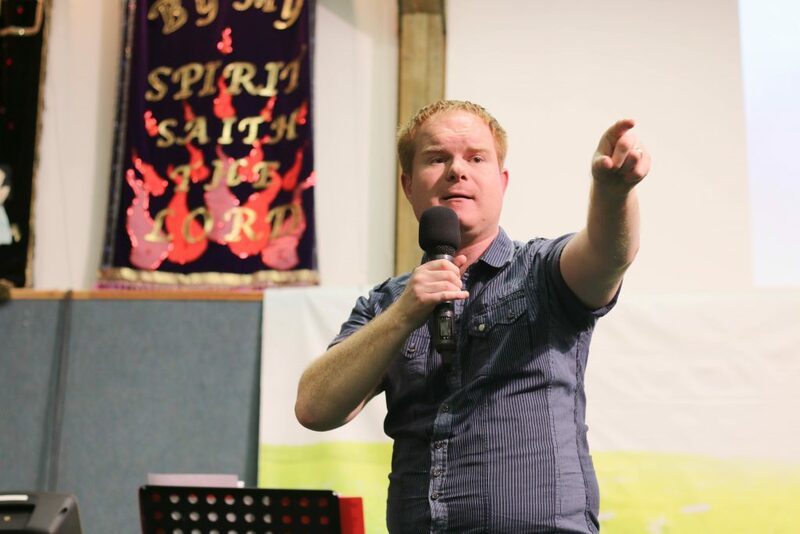 God has blessed Andrew's ministry many times and in many countries with powerful healings and amazing miracles so we are believing for the same here in Chesterfield. Come in faith this Sunday believing in the God of the impossible who sent his Son, Jesus, to pay the cost of your healing and receive the freedom God has for you. 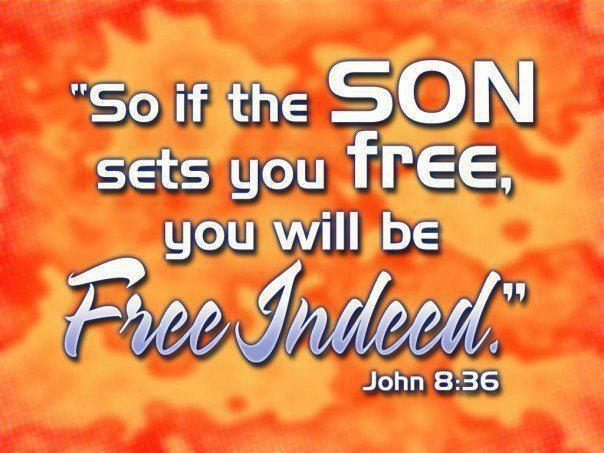 Let's have our ears tuned to the Holy Spirit and be ready to be the means by which God sets someone else free too! Last year we joined a national campaign to pray 'Your Kingdom Come' here where we live. The main idea was to choose 5 people you know and pray for them every day for 11 days between May 10th and May 20th. 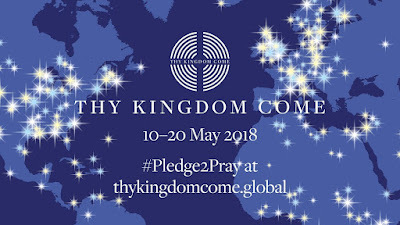 We think it is a fantastic idea, just imagine how many thousands of people will be prayed for during that period and what impact it will have in the heavenly realms! So it starts in a weeks time - next Thursday. Pick up a booklet on Sunday and spend some time thinking about who you will commit to pray for every day for 11 days. Then pray for an opportunity to invite them to a Sunday meeting. We have our very own Martyn Rowe speaking on Sunday May 20th and Andrew Murray on Sunday 27th. A packed house for both would be wonderful!